Colorado Springs Realtor, Ann Kidd, like many Colorado Springs residents, has strong ties to the military. As a child, she travelled from place to place with her father, who was in the Air Force. Upon marrying her husband, she continued the military lifestyle with Don who also had a career in the Air Force. Together they have two children, Eric and Courtney, and a beautiful granddaughter named Rylee. Of course, Ann says, her family would not be a complete without Tornado, their orange barn cat from North Dakota; Bonnie their Scottish Terrier from Wyoming, and Duke, the Pitbull from hell. Before venturing into real estate, Ann spent 25 years as a Special Education teacher. Her military lifestyle gave her the opportunity to teach around the globe. She finished out her teaching career here in Colorado Springs at Air Academy High School in Academy District 20. For pleasure, Ann loves to go antiquing, paint and draw. She enjoys conceptualizing projects for her home and then seeing them through to fruition. 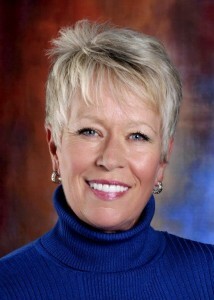 After retiring from teaching, Ann began her career in real estate in 2005. As a teacher, Ann recognizes the value of education and continues to educate herself in the ever changing trends, nuances and laws of Real Estate. In the last few years, Ann has earned a number of certifications and real estate awards. Ann’s greatest pride, however, is in her ability to help her clients. She specializes in working with buyers, sellers, and property management. Her previous experience as a teacher and her expert knowledge in real estate enables her to explain the trickier aspects of buying or selling a home to her clients. When you are ready to buy or sell a home in Colorado Springs or the surrounding areas and want someone who will take the time to guide you through the details of your transaction with patience and expertise, contact Realtor, Ann Kidd.